releasing October 2019 from Blackstone Press! 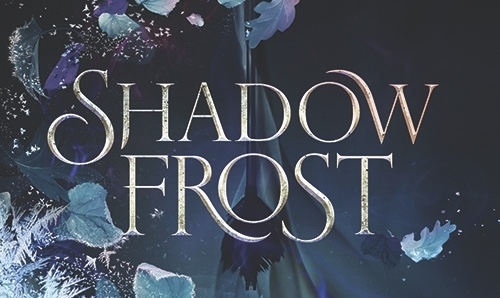 I have been waiting months to reveal this next-level cover for Shadow Frost with all of you, and I’m so excited that the time has finally come! Now, I could tell you everything I love about this cover, but that would take forever, so I’ll just let all of you see this masterpiece for yourselves! Follow me on social media for more exciting updates and DON’T FORGET TO MARK OCTOBER 1ST on your calendars for the release of Shadow Frost! AHH!!! ALL RIGHT! I’m going to shut up now. Here it comes!!! Born in 2000, Coco Ma has performed as a concert pianist in prestigious concert halls around the globe. After graduating from the pre-college program at The Juilliard School in New York City, she has since begun her studies at Yale University. Despite living this double-life as an author-pianist, she is still a mostly normal young person. Her favorite pastimes include binge-watching Netflix, eating cake, petting floofy doggos, waiting for her Hogwarts letter (because it’s never too late), and slaying. Total of 8 winners. Books will not be signed. The synopsis of this book sounds amazing and has me intrigued about the plot against the princess and the demon! This cover is beautiful! The synopsis of this book sounds amazing and has me intrigued about the plot against the princess and the demon! Born in 2000? Doesn't that mean the author is like, 19? just checked her social media! TUrns out she's 18!!! amazing! The cover is powerful and beautiful. The story sounds amazing. I think this cover is exciting and amazing.And this book sounds so interesting. The cover is beautiful and the story sounds amazing. Good luck with your novel. Beautiful cover! I'm interested in reading this.